Agave villmoriana, or octopus agave, is one of the more interesting agaves available. Native to Mexico, this succulent has a very tropical appearance compared to its relatives. Its unique look lends itself to modern and xeriscape inspired landscapes as well as lush tropical landscapes. Plants produce foliage that is an attractive silver-green color. The leaves are recurved in habit and are spineless; an important features if planting in a landscape used by the public or by children. As the octopus agave twists towards the ground in your garden, it will become obvious how it garnered the name octopus agave. Plants can be used en masse, as specimen plantings, and even in summer containers in a sunny location. 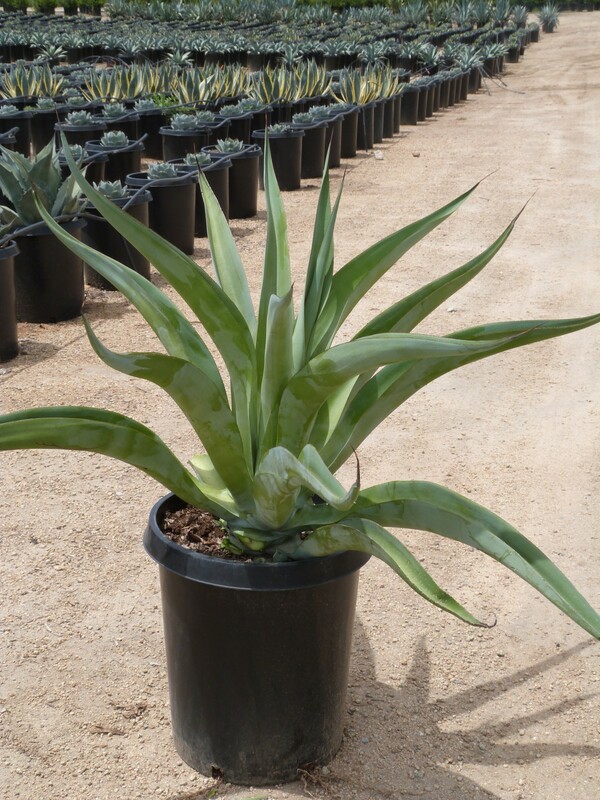 Octopus agave tolerates drought and has low water needs once established; but needs good drainage to thrive. Though heat tolerant, this agave does not respond well to reflected heat. This succulent can be grown in cooler regions in containers that are brought indoors before temperatures dip below 30 F degrees. Yellow flowers will appear at about 7-10 years of age. Like other agaves, this monocarpic plant dies after flowering, but will leave behind young plantlets along the bloom stalk. Once the stalk as fallen, plantlets begin to root in to replace their mother plant.